Some fabrics are just challenging! A few weeks ago on Facebook, I shared a photo and gave you a tip on what to do when pins are just NOT an option. 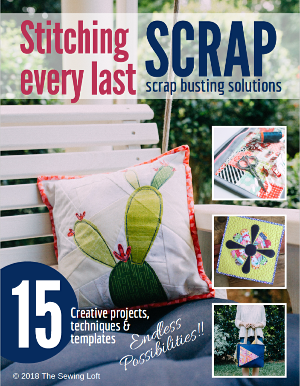 Since it seems that on The Sewing Loft I tend to publish short and kid friendly projects, I thought it would be fun to share something I created on my personal time. Now, to be fair, I really only drafted the pattern and stitched a few samples to create the foundation of this project. My friend Daniel really made it magical with all the detail work. 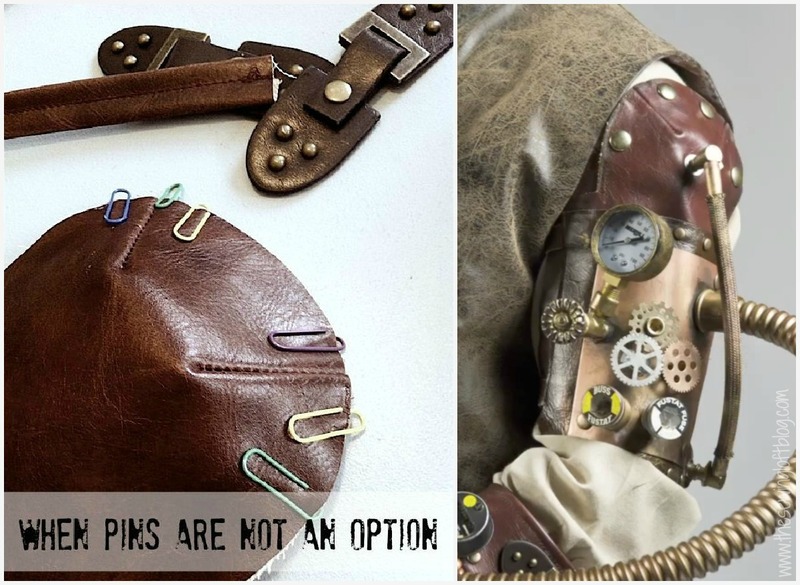 And for the record, steampunk fashion is all about the details! For more info on steampunk fashion click here. To start with let’s refresh, some fabrics are difficult to work with. Silks are slippery, velvets tend to crawl, tulle gets all static cling on you and leather will not take pins. So what’s a girl to do when making steampunk fashion? Well, I looked for the “easy” button and went to my office supplies. It was a real “make it work” moment. I pulled out paper clips, aligned my layers and stitched away. **Note: Project was part leather and part pleather. Want to see more? If you answered yes, you’re in luck. Not only did this turn into a totally cool Halloween costume but there is a fun time-lapse video demonstrating the detailed tool work of the process. I guess in closing out the week, I want to challenge you. Don’t let a fabric or technique define you. Sometimes we get stuck in a rut, boxed in and create the same type of projects over and over. They even become easy, no big deal and non challenging. So, step out of your comfort zone and try something new. You would not guess it but personally, I love working with leather. It stretches and takes shape in the most amazing way. You can distress it, dye it and transform it. 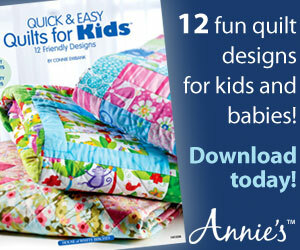 It is very different than any quilter’s cotton or eco friendly felt you will ever find. What about you? Have you made a fun Halloween costume? Or do you have any challenging fabric stories to share? Thanks Brenda. I love what Daniel did with the framework. Heather – this video is amazing! Talk about a true artist, so entertaining to watch, and get a behind the scenes feel for how a brilliant mind works. I love you for sharing this! Awesome. Super cool! It makes me miss my days in the theatre – I don’t create costumes like that for Halloween wear, but I absolutely loved creating that kind of stuff for performances. What a fun project! I loved being able to see something you worked on away from the projects you do for this blog. What a fun steampunk project – the video was cool to watch! My favorite project for 2012 as a costume designer for a small rural community theatre guild… was to create a look for Sweeney Todd that was between Angelia Lansbury and Johnny Dep… So, with the help of a couple artistic and creative ladies , we created a Victorian Steampunk design… and it was wonderful… we were not able to go as deep as we wanted with alot of the gear and Syfy , but what we did looked great… Sometime I would love to create a true Steampunk costume with all the whistles and bells.